We use Quickbooks Accounting Software. For some of our accounting clients we do all of the accounting. We help keep your financial's in order while supporting you and your employees in doing as much as you want on your own. 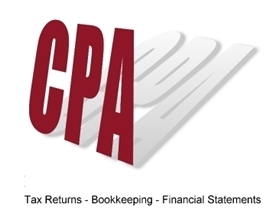 Many of our business clients choose to handle their own basic bookkeeping and use our Certified Public Accounting (CPA) expertise for more advanced accounting services such as comprehensive financial statements, financial analysis, budgeting, forecasting, financing, strategic planning and mergers and acquisitions.